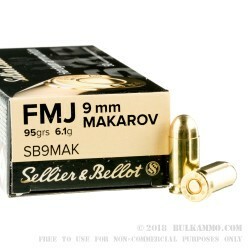 This 9×18mm Makarov cartridge has a 95 grain projectile, a very common weight for its caliber. 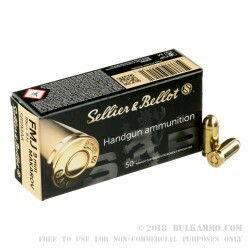 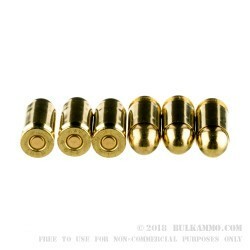 The bullet sports a full metal jacket, which gives it a marvelous ability to penetrate targets, and also saves your pistol’s bore from the kind of residue accumulation that would have quickly loosened up your groupings. 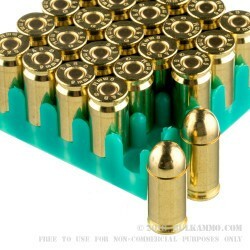 Its non-corrosive Boxer primer means this cartridge will sit safely in your weapon or in its box for a long time, and its factory fresh brass casing is perfect for handloading.